The works of the Atlantic axis of the AVE require the most effective materials in terms of waterproofing, which is why SINTEC has supplied its URDIN T sheets. The manufacturing process complies with the most strictive standards EN 13967 and EN 13491, and is carried out exclusively from virgin resins, which guarantee constant characteristics and optimum durability. URDIN T is resistant to swelling, microorganisms and ageing, as well as putrescibility; that is, the relative tendency of organic matter to decay in the absence of oxygen. In addition to its excellent mechanical properties, the membranes have a high level of tightness even under permanent deformation and offer a high resistance to punching and root perforation, according to EN 14416. Another advantage of URDIN T is the Signal Layer, which allows visual detection of any possible damage caused during the installation. In addition, it is resistant to the weather during the installation process and is perfectly weldable with hot air, even after several years after its installation. Therefore, it is a material that is highly appreciated by installers. 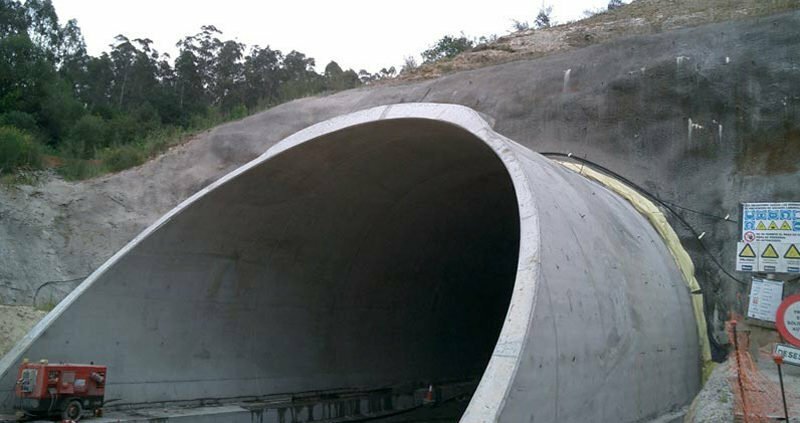 The collaboration of SINTEC in the construction of the Portela tunnel is a new demonstration that its waterproofing products are demanded for the most modern infrastructures. 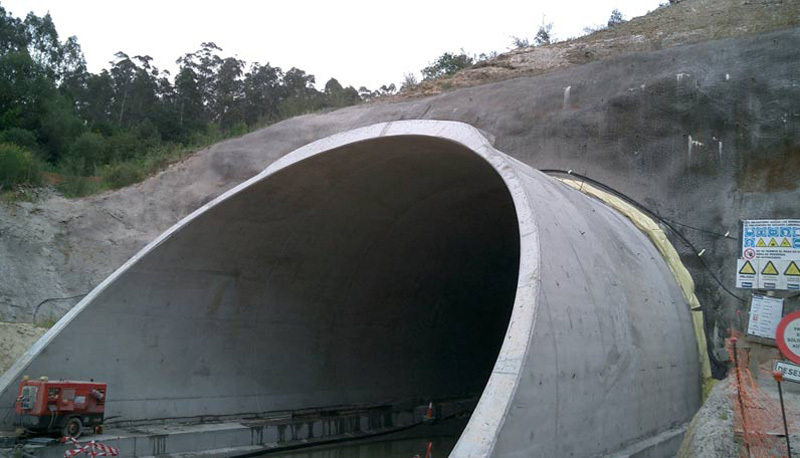 The tunnel is part of the route of the AVE Atlantic Axis, which will run along the Galician Atlantic coast, between Ferrol and the Portuguese border, along 240 kilometers. It will communicate the main cities of the autonomous community and will be linked with the Madrid-Galicia high-speed line, at the height of Santiago de Compostela.